Are you looking for an awesome bag to carry everything to your next eisteddfod, performance, or concert that can also hang up all of your costumes? Then look no further!! The AMD PACK 'N' HANG is here!! Private msg on Facebook or Email us for postage cost and to place an order! Please share this to your studio and friends, or anyone who might like our PACK 'N' HANG! Our original, Australian designed AMD Pack 'n' Hang Bag is the most versatile bag available in the market today. 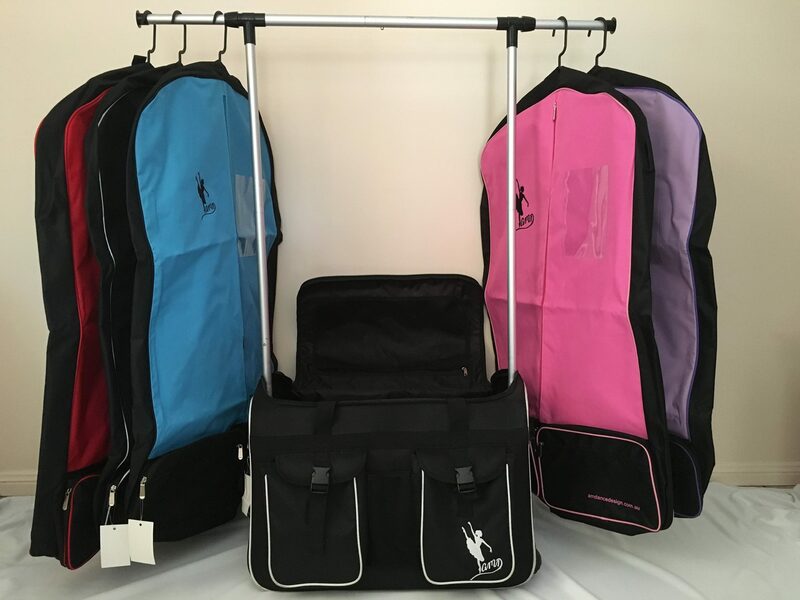 The Pack 'n' hang bag is perfect to keep all of your dance items organised. 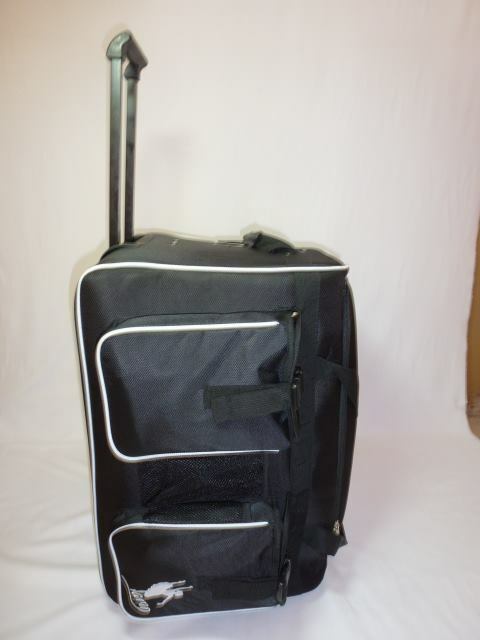 It features heavy duty rollers, for easy rolling to and from competitions and concerts. Manufactured in a stylish practical black with white trim. Zippered bag for the poles. Ann Maree Dance Designs based in the Illawarra, is a new section of Ann-Maree Designs, is proudly owned and operated by Mother and Daughter team, Ann Hughes and Elisha Chin. Both Ann and Elisha have been involved in the dance industry for over 20 years.